Offshore trips leave the dock at Oregon Inlet Fishing Center at 5:30 AM and return around 4:30 PM. On the morning of the trip, Captain Jason Snead will give you your fishing options based on what's biting and the weather. Dream girl provides all licenses, bait, tackle and ice. All you need to bring is your lunch. Dream Girl is Coast Guard approved for up to 6 paid passengers. You can book your trip by calling Captain Jason Snead directly at 252.473.2651 or 252.255.8037, you can call Billy Baum at 252.305.8607, you can send us an email at obx@dreamgirlcharters.com or by calling the Oregon Inlet Fishing Center at 1.800.272.5199. 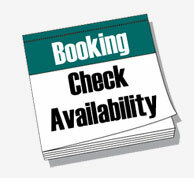 You can also book online right now by scrolling down to the bottom of the page and clicking on the calendar. A deposit of $800 is required to secure your trip. Credit card deposits are accepted over the phone or online. A letter of confirmation will be mailed to you when the deposit is received. Cancellations must be made two weeks prior to the date of your trip to receive a full refund. If the cancellation is due to bad weather you will be refunded in full or re-booked as party wishes. The mate depends on tips. Many people have asked "What is the appropriate tip for the mate?". Generally, tip like you would in a restaurant, 15%+ of the charter fee. More or less depending on the service at your discretion. The Ships Store opens at 5:00 AM and has most everything you forgot to bring for your day of fishing. North Carolina Law prohibits the sale of alcohol before 7:00 AM Daily and 12:00 noon on Sundays. During the summer months, fish cleaning and storage are readily available at the Fishing Center on a per pound fee. 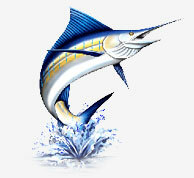 In addition to Fish Cleaning Services, Oregon Inlet Fishing Center also offers Taxidermy and Photographic services.